As you're probably aware we have our Top Selling Items listed in a form for faxing. These forms list all the top selling regulators and their accessories, top selling pipes and their accessories, and top selling fittings. Tarantin is happy to announce that you can now find these items quickly online in our Category List located to the left of all our pages. 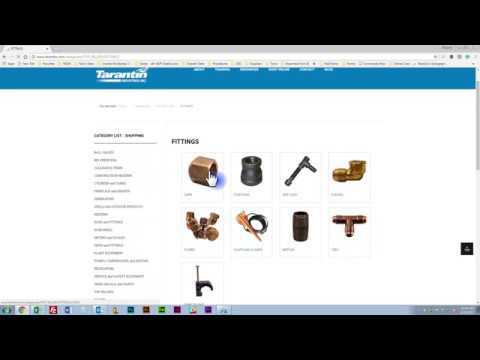 Click the link and you'll be brought to a page showing the Regulators, Pipes, and Fittings categories. Click on any of the images and you'll see the subcategories for that section. It's all the products you need in an easy to find location. Top Seller Category - Check it out.